The Troon Treasure Trail is a fun and imaginative way to explore. This circular Trail starts at the South Beach Kiosk and continues along the esplanade, before turning away from the sea to St Meddans Church and into the Gordon Brown Memorial Garden. Children & adults aged between 6 & 106 will enjoy this self guided Trail. 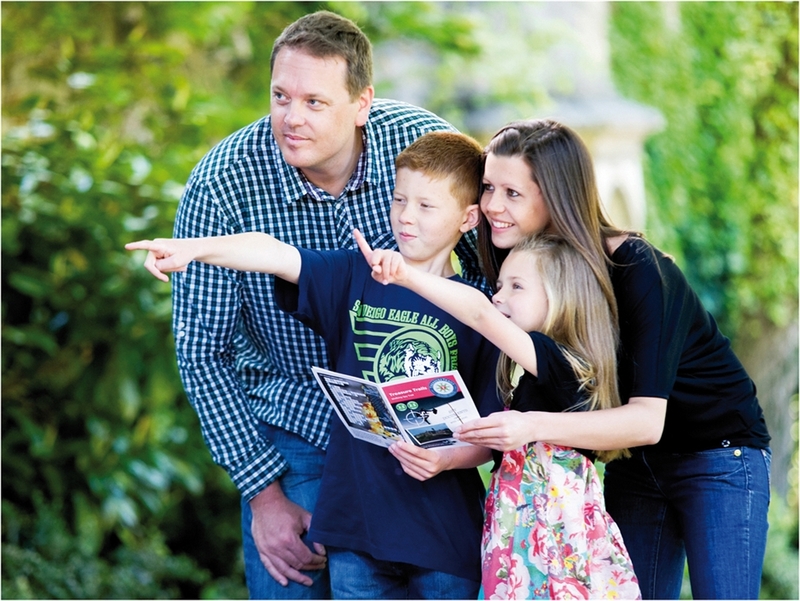 It really will bring out the "big kid in you" as everyone loves a treasure hunt! As the Trail is self guided you are in control. Enjoy the Trail on any day of the week and at a time to suit you. Daylight is your only consideration! Where to get a Trail booklet? 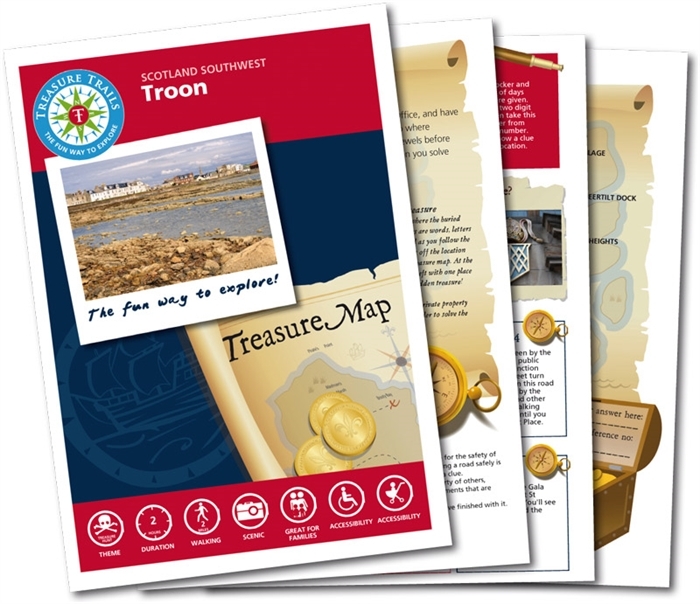 Simply visit the Treasure Trails website to grab a copy of The Troon Treasure Trail. For a couple of enjoyable hours exploring Troon a Trail booklet costs just £6.99 for the download and print at home option, ideal if you're keen to get exploring now. Or get a Trail booklet posted to you direct for £8.48 (including p&p). 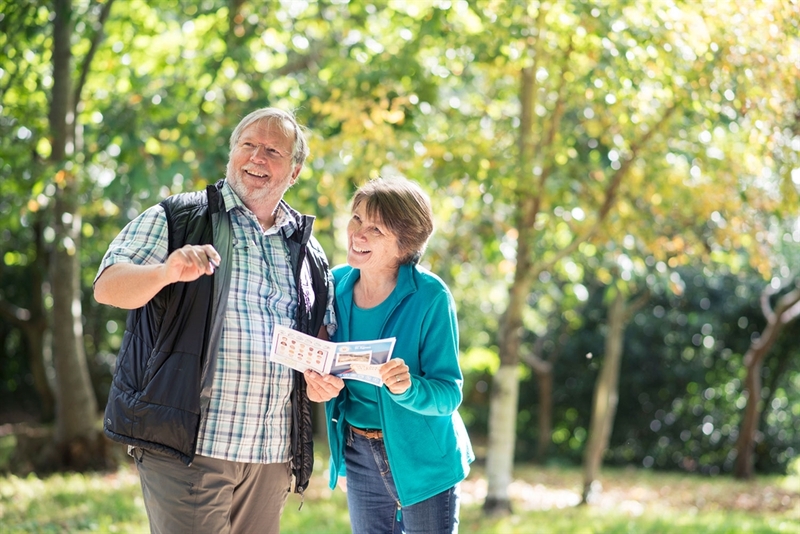 If the Troon Treasure Trail sounds like the activity for you then visit the Treasure Trails website for more information by clicking on the "Visit Website" button above.